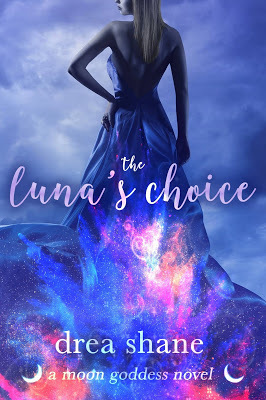 The Luna's Choice is now available! The sequel to the bestselling Reverse Harem Novel ‘The Luna’s Destiny’. Well, I got through the first part of Assembly and accepted the large selection of mates. I even grew up a bit, ready for the next page in my destiny. Finding my potentials was supposed to be the beginning of my story. As it turns out, that story started long ago. With each secret I unravel, there are three more to puzzle out. I’m starting to see where I fit, and it's crazier and more unbelievable than I could’ve imagined. If that isn’t enough, having massive amounts of sexual tension with my potential mates makes for an awkward situation for everyone. The mind can be a dirty place with the right motivation. But one mistake, one moment, one slip of awareness, and my life could forever be forfeit. Some divine intervention will be the only way to keep my destiny out of the wrong hands.